GHA Autism Supports serves individuals with many different beliefs from many different backgrounds. Race, ethnicity, gender, age and other characteristics create individual diversity and cultural differences. 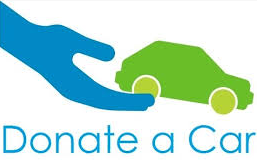 As an organization, we aspire to treat all cultural needs with sensitivity and respect. We tailor services that incorporate each person’s heritage and unique cultural framework. In 2018, we gathered information from parents, guardians, employees and community stakeholders assessing our respect for both individual diversity and different cultural backgrounds. The table which follows summarizes these perspectives. 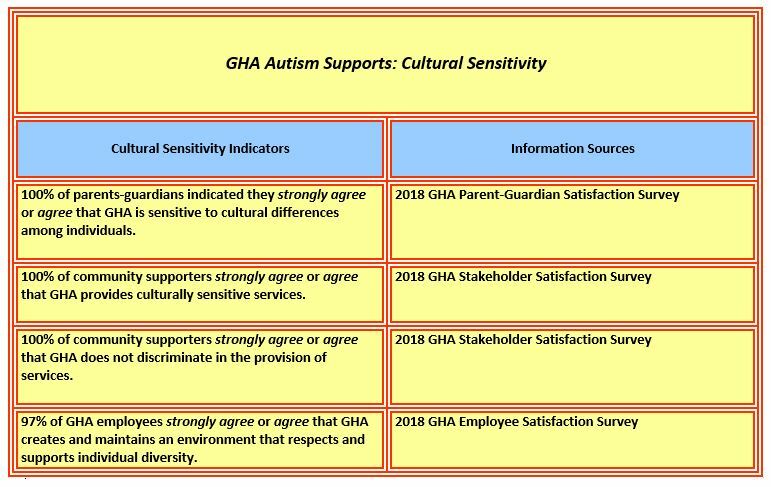 Survey responses, shown below, indicated that parents, guardians, employees and community stakeholders believed GHA demonstrates awareness of diversity and cultural sensitivity toward individuals we support.